grace and me: Good toes! 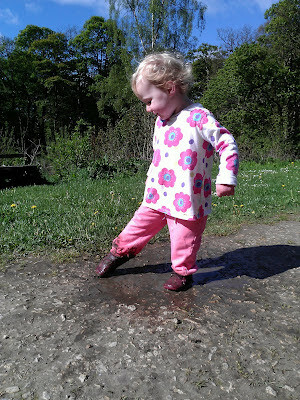 Always on the look out for Grace striking a ballet pose, here she is demonstrating her very best good toes... just a pity I didn't think to drag her out of the puddle or swap her shoes for wellies. Kids. God love 'em.